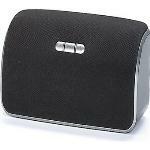 Polk Audio Omni S2 Expert Reviews - Read Reviews and Buy Smarter Online. Verdict: Absolute POS. Sound is good..... When the thing actually works. Fresh out of the box and the center button sticks which obviously creates problems. It rarely, if ever, connects to the mobile devices and to set up a new device (only other option on the ap) doesn't work.